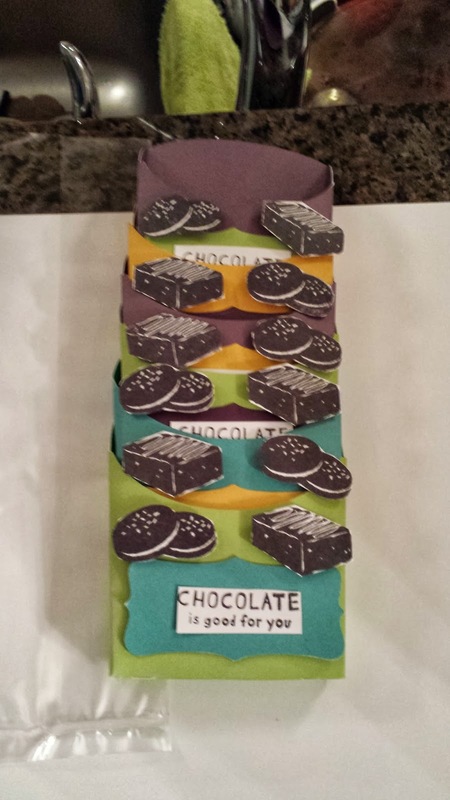 Jan's Works of Heart: Cricut Art Philosophy and A Chocolate Affair - what a team! Cricut Art Philosophy and A Chocolate Affair - what a team! This month, the hop is all about Cricut and die cuts. I don't have anything made myself, but I wanted to share the awesome work done by a group of consultants for Xocai (pronounced show sigh) chocolate and skin care. These folks were wonderful, and their creations were so darned cute! If you got here from Shirley Ross's blog, you are on the right track, but if you get lost along the way, just go back to Tabbi's blog where you can find the list. Several weeks ago, I met a friend I hadn't seen in some time while grocery shopping and we got talking about our respective "after work" jobs. I told her about Close to my Heart and how much I love it. She then told me she sells Xocai as a side line. I got all excited about this and told her about the August Stamp of the Month - A Chocolate Affair. We then decided our two businesses could really use each other! I gave her my card and pointed her to the online Idea Book. A few days later she called me and wanted to do a workshop centered around the little fry boxes cut with the Art Philosophy Cricut cartridge! After spending about an hour looking at paper colours and possible layouts for the fry box decorations, we came up with a plan! 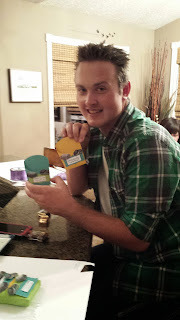 Some of her downline came to a workshop at her house where they assembled the fry boxes and embellished them to use as samples and thank you gifts for customers! And of course the SOTM was PERFECT! Isn't this cute!? 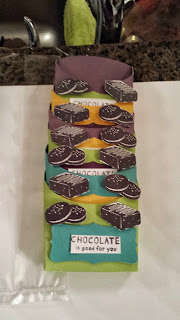 I cut the fry boxes and labels in advance from Pear, Smokey Plum, Lagoon, and Honey cardstock and then everyone put them together in their own combinations. They were fantastic! I also provided a number of embellishments including the Glitter Gems Pink assortment and Bitty Sparkles. They used our Exclusive inks as well in the same colours as the cardstock as well as black. Yes, there were two guys there and they did an awesome job! In fact, Ben (pictured above) made two special sets that he delivered to a local radio station! The DJ's thought they were super! Ben's fry boxes all stacked together for travel home so he could pack them with his samples. I was kicking myself after for not adding my card to them! Doh!! If you are interested in holding a Close to my Heart gathering, or would like to check out the online Idea Book, please check out my website at http://janmccormick.ctmh.com. 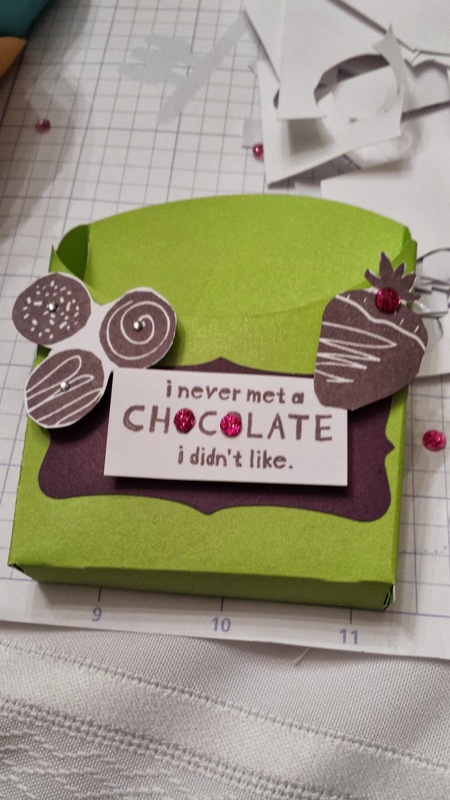 Now hop on over to Joy's blog for some more Cricut and Diecuts! Thanks for hopping with us! Nice job and looks like y'all had fun! 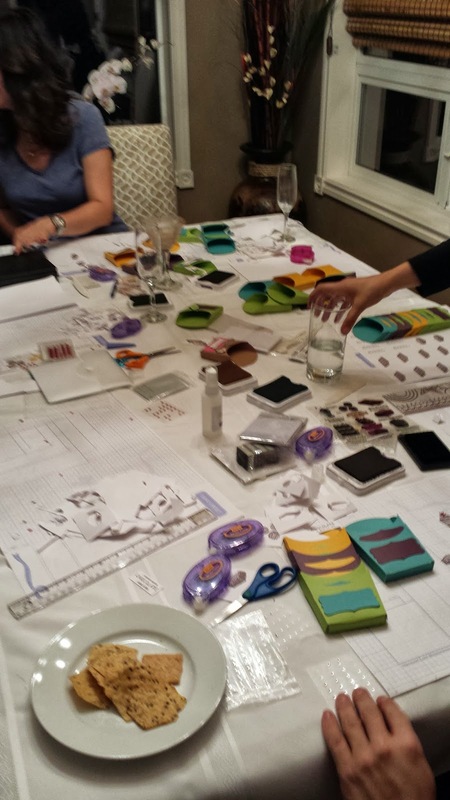 This looks like a FUN workshop, Janet!